Tomorrow is Father’s Day, meaning it’s time to think about Dad. I think my dad is truly special, because there are some things about him that are just, well, him. These are the top 10 things I love about my dad. 1. You know the sound Goofy makes when he falls down a big hill? My dad’s laugh sounds like that. 2. Until we became wise to what he was doing, he had “colors of the day”. So on Monday he would wear blue, Tuesday was beige, etc. 3. He can play any sport and play it well. I remember when he was teaching me how to play tennis, after I was getting pretty good, he goes, “okay, I’ll start playing with my right hand now”. He’s right handed. 4. He really is the most honest person I know. I’m not just saying that. I think he really hasn’t ever told a lie. 5. He gets my mom’s hot tea for her every morning. 6. He’s always there for us. For example, my brother, who rebuilds old cars, was concerned that the engine of his latest project would catch fire. Dad was there to hold the fire extinguisher. 7. On the day of my wedding, he walked me down the aisle with a broken finger, and I didn’t know about it until years later. 8. I’m pretty sure he’s the biggest Star Trek nerd I’ve ever seen. This is my dad’s pond. 9. 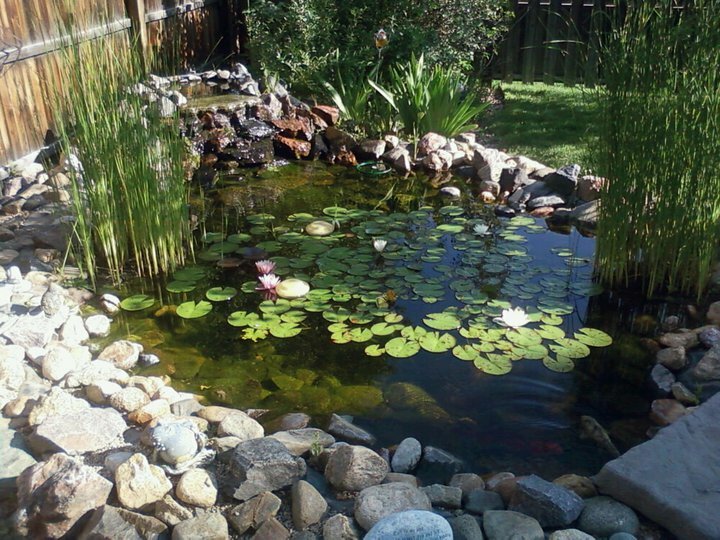 He wanted a pond in his backyard, so he built one. It’s deep enough to have fish and features a working waterfall. It makes buying gifts for him easy because the pond could always use new lights, decorations, or tadpoles. 10. He made finding a husband easy. I just had to look for someone like him. So, enjoy your day, dad! You deserve it! P.S. – did you catch the 10 Things post about my mom?